Changwe Nshimbi, C. Regional governance regimes to foster labour mobility and development. GREAT Insights Magazine - Volume 7, Issue 1. Winter 2018. 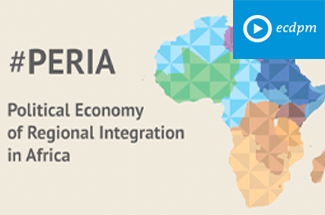 African leaders seem determined to realise the longstanding goal of continental socio-economic integration. This is in keeping with the provisions of the 1991 Abuja Treaty for Establishing the African Economic Community (AEC) by 2028. That treaty actualised the 1980 Lagos Plan of Action and the Final Act of Lagos, both of which were preceded by a decades-long aspiration of Africa’s founding fathers for continental unity. A step in that direction is the process that has so far seen over five rounds of negotiation between state parties, to establish a continental free trade area (CFTA). The negotiations, which began in 2015, follow a decision adopted by the Heads of State and Government of the African Union (AU) in 2012. A CFTA agreement could be signed by 2018. This first phase of negotiations has centred on tariff liberalisation, trade in goods and services, rules of origin, non-tariff barriers, and quantitative restrictions on trade. Issues like intellectual property rights and competition policy will be negotiated in the second phase, after the CFTA agreement is signed. Negotiations on mobility of what the AU terms businesspersons started in parallel with the trade negotiations, and will be completed in the second phase. This relegation of human mobility to a parallel or second phase of the CFTA negotiations is telling. Actually, it reflects the sensitivity in Africa to the issue of human mobility and free movement of persons across the “open” borders of the continent’s states. Some literature acknowledges the porosity of the artificial borders that serve as markers of the respective territories of the 55 AU member countries. Yet, policymakers generally seem oblivious to or conveniently ignore the fact that mobility is so characteristic of African populations, especially in border areas. Motivations for movements vary, as do the kinds of people moving. They move for work, business or trade, research or study, kinship, and indeed, because they are forcefully displaced by war and conflict or by sociocultural, natural, and climate-related factors, among other reasons. Strict enforcement of nation-state borders, especially at official border posts, raises concerns about free movement and international migration. With regard to the latter, a country or region is considered to be pro free movement if a foreign national requires no special permit, or work visa, to enter and work in its territory. Free movement bestows on immigrants the right to reside and establish in the host country. This distinction of terms has important implications for policy, especially in Africa, where mixed migration coexists with informal cross‐border mobility and claims of asylum (Nshimbi and Fioramonti, 2013). Discussions of African human mobility all too often emphasise migration of Africans to other continents. In reality, most international migration occurs within Africa. Migration between proximate states belonging to the same REC is especially prominent. Thus, more migration occurs between the neighbouring countries of and within the Economic Community of West African States (ECOWAS) than to Europe, for instance. Because of this, the singling out of businesspersons (and exclusion of all other categories of mobile persons) for free movement in the CFTA negotiations clearly seems deliberate. It is revealing of the way AU countries sensitively approach intracontinental mobility and their understanding of its implications. Concerns – particularly in the few more economically developed countries towards which migration is directed – relate to immigrants flooding job markets and stealing jobs from citizens (Oucho and Crush, 2001). Other issues relate to security, informed by narrow national interests (Segatti and Landau, 2011). Human mobility is then seen as a threat to national stability and prosperity. Yet, if Africa and the RECs are to advance on integration, these fears must be allayed. To do that, serious consideration needs to be given to the role of free movement in integration. A fundamental question concerning economic integration in Africa is whether the state parties aspire to progress beyond a customs union. Will they agree to allow capital, goods, services, and labour to move freely across borders (Oucho and Crush, 2001), leading to a common market and economic union? Despite some AU members’ reservations, the Abuja Treaty to which all 55 AU members are signatories, makes provision for free movement. But a point that is often missed is that free movement connotes free movement of workers, not people in general (Nita 2013). Understanding this will help allay fears of “tidal waves” and “floods” of “illegal” migrants eroding the economic, sociocultural, and moral fabric of immigrant host countries (Crush et al., 2005; Oucho, 2007; Adepoju, 2009; Nyamnjoh, 2010; Adeniran, 2014; Moyo, 2017). [AU] Member States agree to adopt, individually, at bilateral or regional levels, the necessary measures, in order to achieve progressively the free movement of persons, and to ensure the enjoyment of the right of residence and the right of establishment by their nationals within the [African Economic] Community. For this purpose, Member States agree to conclude a Protocol on the Free Movement of Persons, Right of Residence and Right of Establishment (Abuja Treaty, 1991, Chapter 6, Article 43). Adopt employment policies that shall allow the free movement of persons within the [African Economic] Community by strengthening and establishing labour exchanges aimed at facilitating the employment of available skilled manpower of one Member State in other Member States where there are shortages of skilled manpower (Abuja Treaty, 1991, Chapter 13, Article 71). Together, these articles underline that provisions are in place for continental and interstate free movement and international migration. They also tie migration to the development and utilisation of Africa’s human resources, including across AU member states’ borders. Two key continental instruments subsequently formulated by AU states express the contribution of migration to development explicitly: the African Common Position on Migration and Development (ACPMD) (AU, 2006) and the Revised Migration Policy Framework for Africa and Plan of Action (2018-2027) (AU, 2017). These reveal a completely different approach to migration than the fearful one exhibited by some member states. In these instruments, African states encourage each other and plan to, among other things, adopt pro free movement employment policies in the envisaged AEC. Thus, Africa through its instruments provides an environment that potentially facilitates intracontinental labour mobility, along with the exchange and development of skilled human resources, and the coordination and integration of labour markets. This, along with facilitation of movement for trade, is essential to development. Besides legislation and policies, the AU, through the AU Commission and international partners including the International Labour Organization (ILO), the International Organization for Migration (IOM), and the United Nations Economic Commission for Africa (UNECA) is running a four-year Joint Labour Migration Governance Programme (JLMP). That programme seeks to promote regional integration and development. Among the RECs, some expressly encourage human mobility, while others grapple with the basic idea and practice of integration. The former have either drawn up or are implementing regional protocols on free movement of persons and migration policies. The latter struggle in establishment of regional migration governance regimes, for various reasons. These range from socio-economic and security-related objections to migration, to difficulties in appreciating that regionalism is a state-led project supportive of growth and development. At one end of this apparent regional migration governance regime spectrum is ECOWAS (Nshimibi and Fioramonti, 2013). ECOWAS has the most comprehensive, advanced, and well‐implemented human mobility governance regime in Africa. Early on, ECOWAS set free regional movement as a target. This is reflected in the 1975 ECOWAS Treaty and the protocol relating to free movement of persons, and its four supplementary protocols. The protocol guarantees the right of entry, residence, and establishment for citizens of ECOWAS member states (ECOWAS Commission, 1993: ECOWAS Revised Treaty, Article 3.2.d.iii). When the ECOWAS Treaty was revised in 1979, the region maintained the goal of free movement. In the revised treaty, it undertakes to remove all restrictions on free movement and reiterates the commitment to establish the right of entry, residence, and establishment. Based on the treaty, ECOWAS authorities have adopted a migration policy and two other measures to facilitate movement across member states’ borders. These are a uniform ECOWAS passport and a standardised ECOWAS travel certificate. The passport, which is already in use, would eventually replace the national passports of respective member states by 2010. ECOWAS has abolished visas for citizens of member states. At the other end of the spectrum are regions such as the Arab Maghreb Union (AMU). Here, regionalism has not taken root, being derailed by deep political differences between the state parties. The contention specifically revolves around the Western Sahara, and whether the territory should participate in the AMU as a sovereign independent state. This has broken efforts to establish the area as a functioning REC. 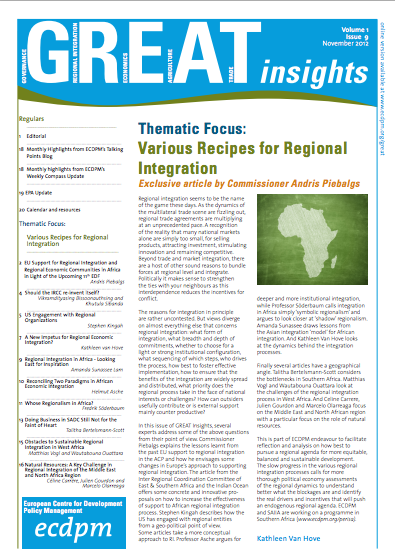 In between, are regions such as the Southern African Development Community (SADC), another AU-recognised REC. Though fully functional and progressing (having achieved free trade area status in 2008, for instance), SADC member states have shied away from formalising a regional migration governance mechanism for over 20 years. This is due partly to systematic opposition by the countries that are the most preferred destinations of migrants in the region (Nshimbi and Fioramonti 2013). Such an attitude at the regional level contradicts and frustrates the AU’s use of the RECs as pillars or building blocks of the AEC, and its broader goal of African unity and development. However, some countries in Southern Africa, as well as West and Eastern Africa, are running a voluntary labour migration initiative: the Intra-African Talent Mobility Partnership Programme (TMP). It aims to create Schengen-type mechanisms for skilled labour migration and skills development in these regions. This programme, along with the AU-led JLMP, demonstrates the importance Africa attaches to labour mobility and its potential contribution to development. Efficient regular migration and labour mobility frameworks could foster development in Africa. Giving professionals the freedom to move from labour surplus to labour scarce areas, for instance, would help balance requirements in sending and receiving countries across Africa and the RECs (Nshimbi and Fioramonti, 2016). Areas of scarcity would additionally benefit from skills transfer. 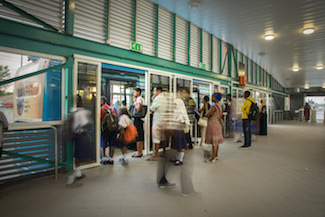 Despite the sensitivity, the age-old mobility of various kinds of people for various reasons across Africa will continue. Recent history shows that stringent immigration measures will fail to curb migration in Africa. A case in point is the deportation of foreign workers, especially during economic downturns in host countries. This even happens between members of the same REC, signifying a disregard for or backtracking on established regional migration governance regimes. Nigeria, for instance, once revoked articles 4 and 7 of the ECOWAS protocol on free movement of persons when its economy experienced a downturn. It deported some one million skilled and unskilled labour migrants it had attracted during the oil-fuelled economic boom. Similarly, Ghana once expelled 500,000 Nigerians due to economic turmoil. Other countries in the ECOWAS region have occasionally deported thousands of migrants too. In the SADC region, countries have exercised massive deportations of other member states’ citizens. South Africa, for instance, had deported over 1.5 million migrants by 2007; the majority were citizens of SADC member states Mozambique and Zimbabwe (Crush and Dodson, 2007; Nshimbi and Fioramonti, 2013). However, South Africa has offered amnesties as well, especially to undocumented immigrants, the majority semi-skilled and unskilled. In conclusion, three observations summarise the current situation regarding human mobility in Africa. First, effort is needed to stem security approaches to migration, expressed in some countries in attempts to enforce or move towards stricter border control. Inevitably such approaches will be frustrated by the porous artificial borders that separate the AU’s 55 member states. Secondly, there exist policies and practices of restricted entry designed to filter out people with no skills in favour of skilled professionals. 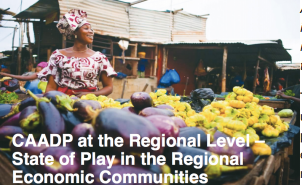 These too, however, are undermined by border porosity, along with the demand for cheap labour and informally traded goods and services in more advanced economies within RECs and across Africa. Thirdly, ad hoc interventions, such as the occasional amnesties granted to, especially, undocumented and semi-skilled and unskilled labour migrants, though welcome, are diluted by regular massive deportations conducted by the same state authorities. These fan hostilities towards foreign African nationals at local and community level. Both the deportations and negative attitudes towards foreign nationals are an antithesis to regional and continental integration. The deportations are costly, especially considering that most deportees eventually return to the countries they were deported from. The resources deployed for such operations could achieve more and better outcomes if channelled to areas where the need is greater. Hostilities towards foreign African nationals undermine the noble ideals of Africa’s founding fathers and generations of Pan-Africanists determined to promote cooperation, cohesion, and unity among the peoples of Africa, as enshrined in the Constitutive Act of the AU as well as the respective treaties of the eight RECs that are to establish the AEC. Thus, the key to effective responses and to realising the existing continental and regional human mobility instruments lies primarily in changing policymakers’ attitudes and allaying their fears of migration. Aderanti. 2009. “Migration Management in West Africa within the Context of ECOWAS Protocol on Free Movement of Persons and the Common Approach on Migration: Challenges and Prospects.” In Regional Challenges of West African Migration: African and European Perspectives, edited by M. Tremolieres, OECD, 17–47. Paris: Organisation for Economic Cooperation and Development (OECD). African Union. 1991. Abuja Treaty Establishing the African Economic Community (AEC). ———. 2006. African Common Position on Migration and Development. Executive Council, Ninth Ordinary Session, Banjul, The Gambia 25 – 29 June 2006. ———. 2017. Revised Migration Policy Framework for Africa and Plan of Action (2018-2027). African Union: African Union. 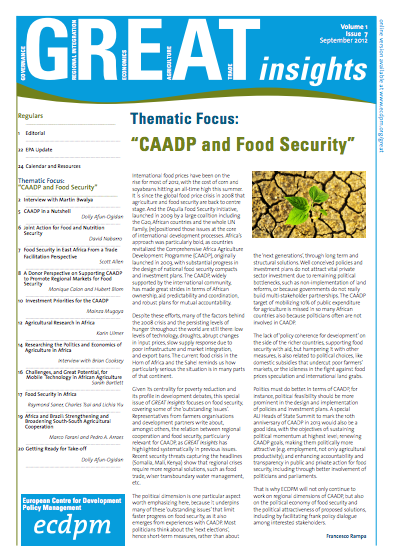 https://au.int/sites/default/files/newsevents/workingdocuments/32718-wd-english_revised_au_migration_policy_framework_for_africa.pdf. Crush, Jonathan, and Belinda Dodson. 2007. “Another Lost Decade: The Failures of South Africa’s Post-Apartheid Migration Policy.” Tijdschrift Voor Economische En Sociale Geografie 98 (4). Crush, Jonathan, Vincent Williams, and Sally Peberdy. 2005. “Migration in Southern Africa.” In Policy Analysis and Research Programme of the Global Commission on International Migration. Global Commission on International Migration. ECOWAS Commission. 1993. ECOWAS Revised Treaty. http://www.ecowas.int/wp-content/uploads/2015/01/Revised-treaty.pdf. Moyo, Inocent. 2017. African Immigrant Traders in Inner City Johannesburg. Cham: Springer International Publishing. Nita, Sonja. 2013. “Regional Free Movement of People: The Case of African Regional Economic Communities.” Regions and Cohesions 3 (3). Nshimbi, C.C., and L. Fioramonti. 2013. A Region without Borders? Policy Frameworks for Regional Labour Migration towards South Africa. Johannesburg: African Centre for Migration and Society, University of the Witwatersrand. Nshimbi, Christopher C., Innocent Moyo, and Trynos Gumbo. 2018. “Between Neoliberal Orthodoxy and Securitisation: Prospects and Challenges for a Borderless Southern African Community.” In Crisis, Identity and Migration in Post-Colonial Southern Africa, edited by Hangwelani Hope Magidimisha, Nene Ernest Khalema, Lovemore Chipungu, Tamuka C. Chirimambowa, and Tinashe Lukas Chimedza, 167–86. Springer. Nshimbi, Christopher Changwe, and Lorenzo Fioramonti. 2016. 2016. Regional Migration Governance in the African Continent. Current State of Affairs and the Way Forward. Bonn: Stiftung Entwicklung und Frieden (sef:)/Development and Peace Foundation. Nyamnjoh, F B. 2010. “Racism, Ethnicity and the Media in Africa: Reflections Inspired by Studies of Xenophobia in Cameroon and South Africa.” Africa Spectrum 45 (1): 57–93. Oucho, J. 2007. 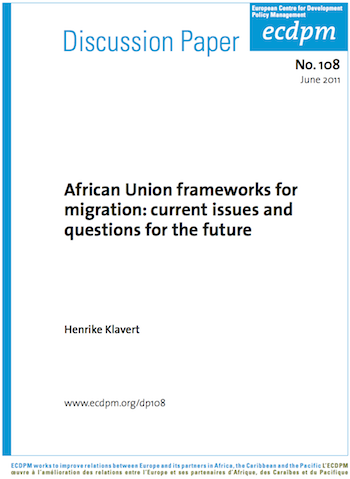 “Migration in Southern Africa Migration Management Initiatives for SADC Member States.” 157. ISS Paper. Pretoria. Oucho, John O., and J. S. Crush. 2001. 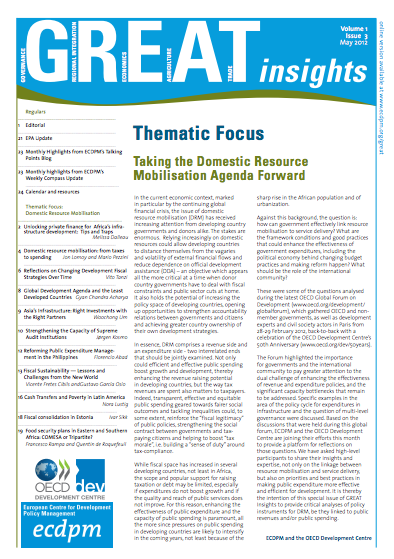 “Contra Free Movement: South Africa and SADC Migration Protocols.” Africa Today 48 (3). Indiana University Press: 139–58. Segatti, Aurelia, and Loren B. Landau. 2011. Contemporary Migration to South Africa. Edited by Aurelia Segatti and Loren B. Landau. Washington, DC: The International Bank for Reconstruction and Development / The World Bank. 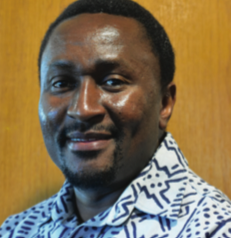 Technology/National Research Foundation (DST/NRF) Research Fellow, Centre for the Study of Governance Innovation, University of Pretoria.